GOOD MORNING VIETNAMese speakers. 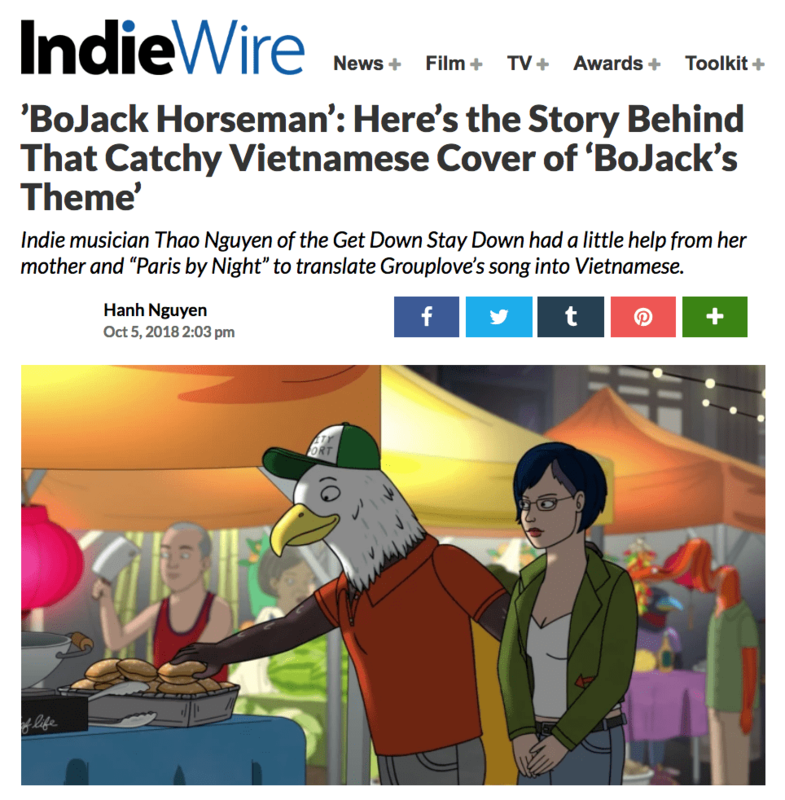 I covered Bojack end credits song by GROUPLOVE in Vietnamese for an episode in season 5. I talked to Hanh Nguyen and IndieWire about it. Thank you Hahn, thank you Grouplove. Thank you BoJack Horseman for the invitation and for being so so good.